I spotted this while visiting Paratus Familia Blog. Here’s Enola Gay’s full post on their experiment with the Alpha Tent. 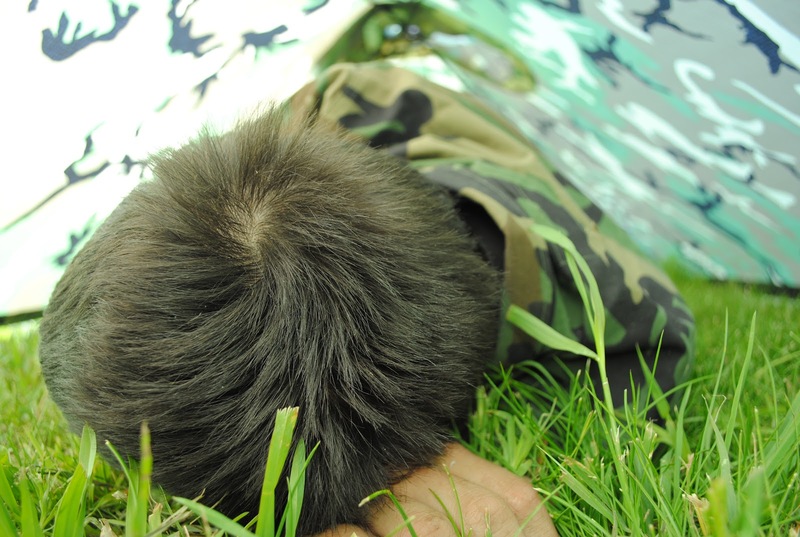 USGI Poncho’s can be challenging to find, but really, you can use any poncho. 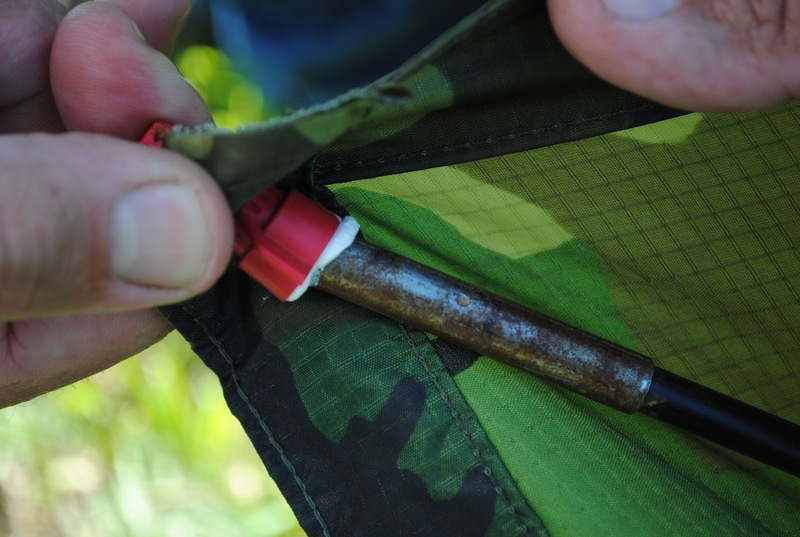 The difference is that you will have to measure your poncho and customize your tent poles accordingly. Thank you for coming along for the ride as Sir Knight and I pare down our kits to the bare essentials and find out what works and what doesn’t. Try an Alpha tent of your own and let us know what you think. Yes. Very nice. I have spent more than one night under that type of poncho, but I had to rig mine up with 550 cord. I’ll share a tip or two…use (2) rubber grommets instead of the wire nuts. Size the inner diameter to your poles. They are adjustable so pole length won’t matter. Just slide one at a time and then use the second as a “locking” nut. They hold amazingly well. Bury extra pole length if you need to. 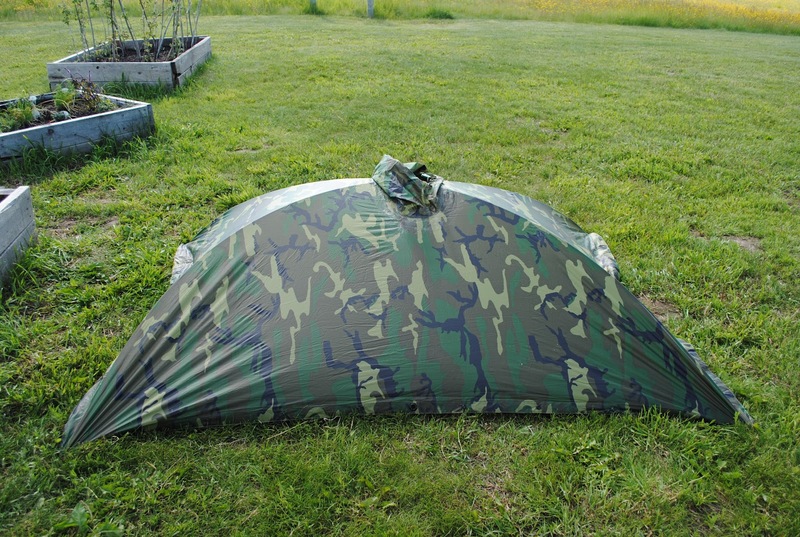 Also if you attach a US issue individual sniper veil on top, they fit perfectly btw, you might even lose your alpha tent if you aren’t careful, seriously. Layer a space blanket on the underside of the poncho in alpha tent mode and you retain warmth and help eliminate your IR signature. 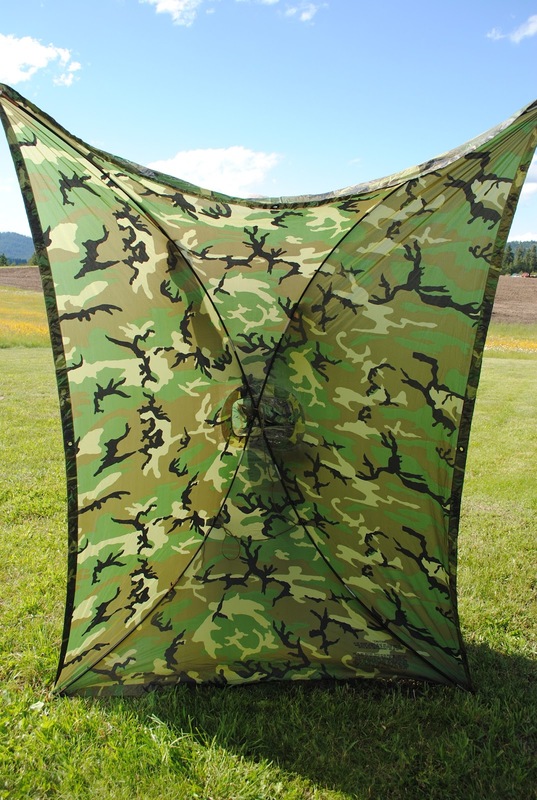 You can wet parts of the attached veil for even better IR camouflage. A poncho liner is the last perfect item for your BOB. Cut a head slit in the center of a poncho liner and you can use it in poncho mode as a coat or use the combo as an emergency sleeping bag. Velcro strips can be used to close the head slit. A balaclava will provide extra warmth and reduce thermal radiation. Again, your space blanket sandwiched between the poncho liner and poncho will help to mask your IR. So get prepared with a poncho, poncho liner, veil, space blanket and poles. Most items have at least triple uses. I am set up with the alpha tent and hammock. I also carry a sleeping bag, bivey and mat. When I want to sleep above ground, I use the poncho as an asymetrical tarp over a ridgeline with tie downs. The pad goes in the hammock and keeps me warm. In cold weather, it’s time to hit the ground. I use the hammock as another layer inside my bivey. 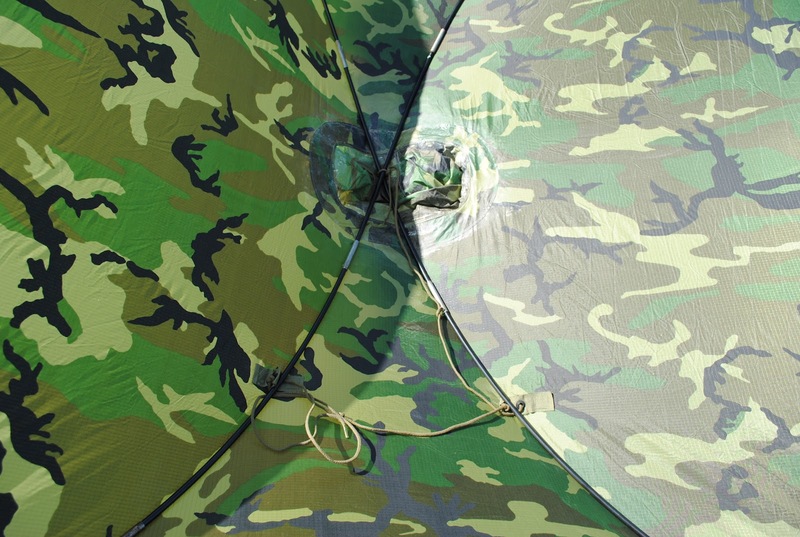 With a sniper veil on the outside of your alpha tent or hammock, you are virtually invisible. If you wet the sniper veil in a few areas your IR signature is further masked. Sounds like a great set up, Mark. I like use my hammock and tarp too. Good tips on your set up! Thanks for sharing how you do the stuff! wow this is the most amazing thing I have seen in a long time. good job keep it up.